Updates on Ilya Kovalchuk and Duncan Keith plus the latest on the Canucks in today’s NHL rumor mill. 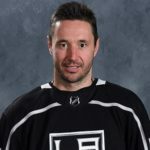 LOS ANGELES TIMES: Curtis Zupke reports Kings left wing Ilya Kovalchuk feels he didn’t have a chance after Willie Desjardins took over last November as head coach. Kovalchuk began the season on the top line but he’s gradually seen his ice time reduced. He’s fallen down their depth chart and was a healthy scratch in two recent games. Kovalchuk has two more years remaining on his contract with an annual average value of $6.25 million. He dismissed the notion that he might prefer a change of scenery, pointing out his family is now established in Los Angeles. He’s determined to see his way through this. For his part, Desjardins acknowledged the difficulty Kovalchuk feels. He said he respects the winger and his love for the game, but the club is currently at a point where they need to look at some younger players. SPECTOR’S NOTE: Kovalchuk is also aware that Desjardins is an interim coach. I daresay he’s looking forward to playing under a new bench boss next season. He’s got a full no-movement clause for next season and obviously doesn’t have any intention of waiving it. THE ATHLETIC (subscription required): Pierre LeBrun recently reported the midseason upturn in the Chicago Blackhawks fortunes has long-time Hawks defenseman Duncan Keith keen to remain part of the club’s future. It’s expected general manager Stan Bowman will meet in the offseason with Keith and the club’s other “legacy players” to discuss their roles within the club’s plans. Keith has spent his entire NHL career with the Blackhawks and carries a full no-movement clause in his contract. While he knows the roster has to be better, he also pointed out their improvement since late-January and how they’re still in the playoff chase. SPECTOR’S NOTE: Before the Blackhawks turned things around in late-January there was growing speculation Keith and Brent Seabrook (another legacy player, along with Patrick Kane, Jonathan Toews, and Corey Crawford) might be asked to waive their movement clauses. It’s possible Bowman could approach Keith about moving on this summer but the Hawks GM probably intends to use his veterans to complement the younger talent being brought into the lineup. Keith won’t be going anywhere this summer. SPORTSNET: Earlier this week, Elliotte Friedman reported there have been no contract extension talks yet between the Vancouver Canucks and goaltender Jacob Markstrom. He has one year remaining with a salary-cap hit of $3.6 million. With Edmonton Oilers goalie Mikko Koskinen earning $4.5 million annually, Friedman wondered how much Markstrom could make. The two sides can’t officially sign a new deal until July 1 but they can talk. Friedman also believes the Canucks will be in the market for a young defenseman in his early- to mid-twenties. SPECTOR’S NOTE: I daresay the Canucks and Markstrom will wait until their season is over before opening those contract discussions. As for a possible trade target in that early- to mid-twenties range, would Benning have interest in the Ottawa Senators’ Cody Ceci? He’s a restricted free agent with arbitration rights this summer who might not fit into that rebuilding club’s plans. Canucks can’t talk contract with Markstrom till July 1st. Benning should be shot in to the sun if he signs Ceci. He’s already used two strikes on Sbisa and Gudbranson, no need for Myers or Ceci. Time for modern defencemen who can transition the puck quickly with a sharp first time outlet pass. So the question is, should a team keep a player because his family likes it there? Let me know how you and your family like eastkabumf**k Nebraska when your employer sends you there. I dunno Georgie… you might be able to suit up for the sens. Not everyone needs someone else to give them a job. Some of us figure it out ourselves. If the GM is giving them a NMC, then the team is saying at that time, we don’t want you to leave this team and city. The responsibility doesn’t fall on the player to break the contract when he negotiate in good faith to the terms of his contract. I don’t know if this is legal or not but if a GM ask a player to waive his NMC or NTC said player should be able to say “Yes for $5m I will do that for you”, “Yes, if you pay for my new house of my choice” The player should be if wishes to be compensated for changing the language of the contract. Well hopefully for the players they don’t end up in Houston. Unless they want to live in a smelly sauna 10 months of the year, or if they do go outside they could enjoy the concrete slab of a city. I was there again 3 weeks ago, and it was weird as nobody was out walking around downtown? It was a flippin ghost town. Perhaps it’s because 550 people get shot a year on average? I dunno, but a couple middle aged dudes in a bar showed me their sidearms and said “I bet you wish you could carry around one of these!” once they found out we were from Canada. Strange place, and no thanks. I have a feeling that somebody is really insecure about their city and team. For they feel the need to take shots at another city and team to make them feel better about themselves. Kovalchuk was high risk when they went into that deal. Paid too much and an additional year ending at 39 ? “Fun in the Sun ” and he is not moving. Agreed there but if I am the NYR I may look at the right hand Kovalchuk. IF LA can hold 2 million and take a Vesey/Letteri back (younger player(s) LA needs). It may be worth the risk for NY. Vesey for 2 yrs or Kovalchuk for 2 yrs?? NYR has cap space these 2 years. It gives them another right hand option instead of Strome. He can play with Zib as his RW or if Buch stays there slide and play either wing on line 2 with Chytil. I think it is worth the risk. So it cost nothing but salary to land Kovalchuk and now it is going to cost you money to get rid of him. At least a $4m mistake over the two years he has to go. He might waive to go to the east but I don’t think so. Even if the Kings don’t play him. He wants to be a beach boy and I am guessing not thinking the Jersey shore. If Kovalchuck was $2-$3 per year, it’s an okay deal. Blake completely overpaid. Blake so far has shown to be an idiot of a GM. He didn’t interview anyone but Stevens. The team was close to the cap limit and then he completely overpaid for Kovalchuck, a 35 year old who hasn’t played in the league in 5 years. On top of that he hires an interim coach that no one would offer a head coaching job. Since Robitaille and Blake took over hockey operations, they have run this team into the ground. I’m scared what these two idiots will do this offseason. Hire hrudy palffy and sandstrom? Bruins sign Chara to a 1yr extension for $2m plus $1.75 in performance bonuses. I’m ok with this deal as it’s only 1yr and our expectations shouldn’t be that of a #1 or 2 dman. Ya, seems about right Caper. His minutes are down this year, and likely more next year. It allows options to let Zboril and Vaak to get more seasoning in Providence. With all of this brutal performance, cost to team and horrendous stats… he is only 1 of 3 on the entire team to play EVERY game (no healthy scratches) and after tons of brutal shifts has only sat a single shift all year; AND most importantly even though all of theses brutal stats and performances have been front and centre on media reporting for the team; the GM went out of his way to defend the player and praise his performance???? This albatross (absolutely most costly [to team in performance] DMan in the ENTIRE league)is on the books for ANOTHER 4 years @ $3.25 M per!!!!! Penguin, working hard also and so maybe less aware than I should be. I give up, who is this D of whom you speak? Is the McRib back pengy? Yes I guess it went over my head …. So again…. huh re McRib back again? Chara at that price is a steal obviously this is a hometown discount the guy is still a beast and a great shutdown defenseman and a perfect leader. It is a good deal Obe, I don’t know what the thresholds are for the bonus, but if I had to guess I would go games played. So $3.75 seems fair if he plays the majority of the season. Agree still a great defender and of course leader, but he is old for the NHL and can’t play big minutes and stay healthy like he used to. And take it from an older guy with some miles on him, joints start to hurt and energy level is less. Injuries seem to last longer when you age as well. Data is hard to dispute. Don’t get me wrong, I’m happy he is back, and think it is a good deal. 1.25 million if he plays in 10 games. 250K for making the playoffs. 250K for a Cup win. 10 games? Is it just me or is that a strange number for a threshold? Maybe he plans on tackling the Mountain Section of the Tour de France again in the off season? Penguin, way overdue but thanks.